Hathaway & Clark Funeral Home Inc., established by entrepreneur James H. Hathaway, is the oldest African American owned and operated funeral home in Louisville, Kentucky. Mr. Hathaway began his early business career in Mt. Sterling, Kentucky as manager of a grocery. In the late 1800's he moved to Louisville and started a transfer company with the help of the Smith-Nixon Transfer Company, a white owned business. In 1901 he started the James H. Hathaway Mortuary which was located at 419 East Burnett Avenue in the Fort Hill area. In 1911, continuing to be successful, the mortuary moved to 716 South Preston Street in the Smoketown area. After the death of Mr. Hathaway in 1948, the torch was passed to his daughter, Columbia Gray Clark and her husband, Chester D. Clark, Jr., a very successful educator and businessman in the Louisville community. The name was then changed to Hathaway & Clark Funeral Home. As the success of Hathaway & Clark Funeral Home grew, welcomed additions to the staff included John N. Thomas and Lawrence F. Montgomery, Sr., in the early 1950s. In 1964, Hathaway & Clark Funeral Home moved from the Preston Street site to a new and modern facility at 2718 Virginia Avenue in the Parkland community of West Louisville, its present location. This construction was the first African American funeral home to be built in the Louisville area. Throughout the 1960's and 1970's, Chester D. Clark, Jr. and the staff of Hathaway & Clark Funeral Home were quite involved in the community. Chester D. Clark, Jr. was the first African American to serve on the Louisville Civil Service Board and received the honor of becoming a Kentucky Colonel. In 1977, both Columbia H. and Chester D. Clark, Jr. passed away, passing on the torch to Margery Clark Provette, sister of Chester D. Clark, Jr. and her husband Carl A. Provette who served as administrator of the estate. In 1979 with the incorporation of Hathaway & Clark Funeral Home, Inc., the families of Margery C. Provette, John N. Thomas and Lawrence F. Montgomery, Sr., were joined in ownership with the goal of successfully providing quality service to the Louisville community. 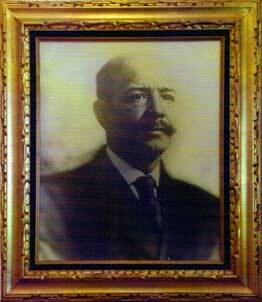 John N. Thomas was then elected President of the corporation and served in that position until his passing in 1998. Lawrence F. Montgomery, Sr., was elected Vice-President. Margery C. Provette was elected as Secretary-Treasurer and served in that position until her passing in 1992 and Carl A. Provette, served in the position of Agent for the corporation until his passing in 1989. Anna L. Thomas, the widow of John N. Thomas served as Financial Secretary from 1992 until her passing in 2007. Hathaway & Clark Funeral Home, Inc. through continued service and efficient operation has endured for a century with four generations of the Hathaway and Clark and two generations of the Thomas and Montgomery families. Currently the torch is being held high by, Lawrence F. Montgomery, Sr., President/ CEO; Marcia L. Provette, Vice-President; Violet L. Montgomery, Secretary/Treasurer/ Agent, Lawrence A. Provette and Karen Montgomery Williams, Business Manager. Hathaway & Clark Funeral Home, Inc. continues in 2012 and beyond to be an integral part of the Louisville community providing service with dignity and understanding. We were here for you then.